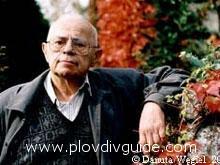 Plovdiv, Bulgaria - Current News - The great writer Stanislaw Lem is dead! The great writer Stanislaw Lem is dead! Stanislaw Lem was born in Lvov, Poland in 1921 into a Polish-Jewish family. His father was a laryngologist and Lem studied medicine at the Lvov Medical Institute before WWII. He survived the Nazi occupation and completed his medical studies at Jagellonian University, Krakow, without taking the doctor's degree. His work at the Konserwatorium Naukoznawcze as a research assistant for Dr. Choynowski, became a turning point in Lem's life. He started writing Sci-Fi since 1946, but his first serious novel "Hospital of the Transfiguration" was censored for eight years. It was released only in 1956, when freedom of speech was earned after the "Polish October" popular uprising. Meanwhile Lem married a doctor instead of being one, and continued writing his increasingly unusual novels "The Investigation", "Eden", "Return from the Stars". The 60s and 70s were productive for Lem, with "Solaris", "The Invincible", "The Cyberiad", "His Master's Voice", "The Star Diaries", "The Futurological Congress", "Tales of Prix the Pilot". His gift of a visionary materialized in "Summa Technologiae" (1964), which is tackling problems of virtual reality. Lem's "Katar" (1975) predicts international terrorism, and "Observations on the Spot" (1982) shows absurdity of a conflict between two civilizations. "Solaris" is the best known work of Stanislaw Lem. It was adapted into films by director Andrei Tarkovsky in 1972 and by director Steven Soderbergh in 2002, starring George Clooney and Natascha McElhone. Planet Solaris is inhabited by one Plasma Ocean organism with eerie ability to materialize the astronaut's thoughts by recreating his dead wife and virtually bringing the dead back to life. Obsolete biological human impulses are shown in a stark contrast with the magnitude of the ocean-size organism. Lem's imagination and talent for creation of alternative reality challenges the limits of human knowledge. His books sold 27 million copies in 40 languages.